Bang sticks (also called powerheads) offer protection from sharks or other large marine life while diving, or for gator hunting. 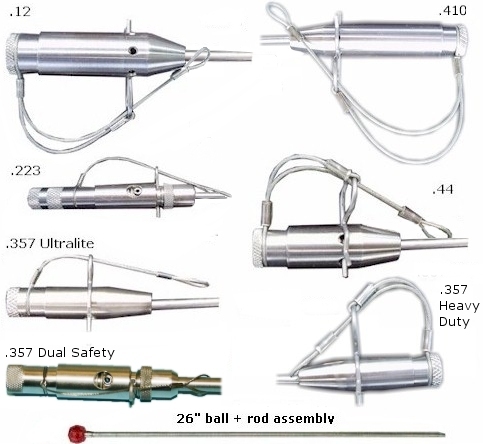 Bangsticks are no longer sold with 26" rod and ball assembly, which are sold separately. All are made with 303 stainless steel. MOST FOREIGN COUNTRIES DO NOT ALLOW THE IMPORT OF BANGSTICKS. IF YOU ARE OUTSIDE THE U.S., PLEASE CHECK WITH US PRIOR TO PLACING YOUR ORDER! You can use "standard off-the-shelf" ammo. Do not use aluminum casings; aluminum tends to swell. All ammo must be treated. Seal the primer and case to projectile (the crease where the projectile is fitted into the casing) with a small film of clear or colored fingernail polish. When dry, remove the excess from the case to projectile area. If you want a longer shaft, we can mount these powerheads on an AB Biller spear pole spear, or you can purchase a gator pole kit (see below). More info on bangsticks here! Long rods are available for A & S bangsticks. The 40" stainless steel rod and ball assembly ($30) has 6 mm threads. If you would like an A & S powerhead mounted on a 40" rod and ball assembly instead of the standard 26" rod, please indicate this in the comments section of your order form, add the 40" rod from the menu above, and and we will deduct $19.99 from your order. 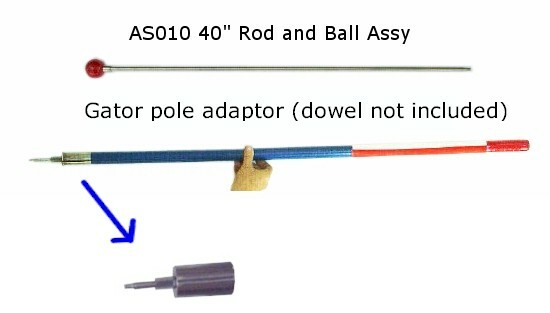 Also available are gator pole kits ($60) that allow you to mount your A & S powerhead onto a 1.25" diameter wooden dowel that you can purchase separately from a hardware store. 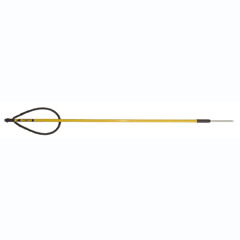 Great for making your own gator bangsticks, especially with the 12 gauge bangstick. Standard 6mm threads.